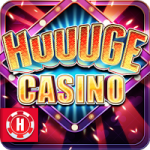 Huuuge Casino! slots provides you with the best slot games and lets you feel the Vegas thrill along your friends across Facebook! Mobile for Android and iOS. Play on Facebook!